Consumer Electronics and Appliances Manufacturers Association (CEAMA), established in the year 1978 an all India body representing Consumer Electronics, Home Appliances and Mobile Industry in association with Ministry of Electronics and Information Technology (MeitY), National Association of Software and Services Companies (NASSCOM) Foundation and MAIT had organized an awareness programme on Environmental Hazards of Electronic Waste under the aegis of ‘Digital India Initiative’ for dealers in the city of Panjim. This event is part of the umbrella project of ‘Digital India’ campaign launched by Government of India to aware citizens and in most targeted approach reach out to the students who would make the necessary changes in society in the coming days. The awareness programme aims to educate dealers about the effects of unsafe and unorganised disposal of e-Waste on the ecological surrounding and consequently on the environment on the broader horizon. 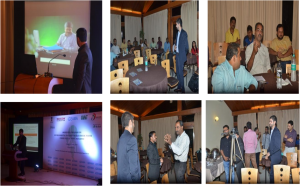 The event saw attendance of around 50 participants at Hotel Varanda Do Mar, Panjim. The vibrant city of Panjim, Goa hostedan awareness programme on Environmental Hazards of Electronic Waste under the aegis of ‘Digital India Initiative’ for schools which was organised by Consumer Electronics and Appliances Manufacturers Association (CEAMA)in association with Ministry of Electronics and Information Technology (MeitY), National Association of Software and Services Companies (NASSCOM) Foundation and MAIT. This event is part of the umbrella project of ‘Digital India’ campaign launched by Government of India to aware citizens and in most targeted approach reach out to the students who would make the necessary changes in society in the coming days. 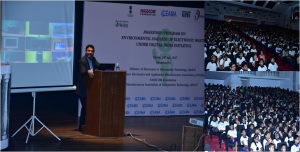 The awareness programme aims to educate students, parents and teachers about the repercussions of unsafe and unorganised disposal of e-Waste on the ecological surrounding and consequently on the environment on the broader horizon.